understand that a dentist is one of the most important professionals that you will need throughout your life for maintaining your optimal well-being, and we believe that local citizens deserve only the best. 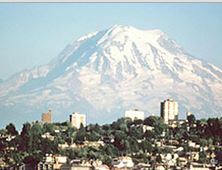 With its population of approximately 39,000 people, the medium-sized city of Puyallup contains a wide selection of dentistry services in a variety of practices. However, the area features only one Board Certified prosthodontist – our very own Dr. Keith Phillips, located just across the bridge in Fife. Having a certified specialist in restorative treatment options is an important aspect of a full-services dental practice, which is what truly differentiates us from all others. Our advanced dental office features only the latest tools and technology to help us administer the highest level of dental care. From the Ultrasonic Scaler to the iTero Digital Dental Impressions Scanner and everything in-between, our team is fully equipped with everything that we need in order to provide you and your family with the personalized care that you deserve. If you would like to learn more about our comprehensive services and/or schedule an appointment, please do not hesitate to contact us today. You can reach the Distinctive Dentistry experts by phone at (253) 922-6822 or by email, and we will be glad to help you get started. Contact your Puyallup Dentist today!